Free Ground Shipping in the Continental U.S. On orders over $30 Growing Up Girls from Enesco Gift celebrates the joys of a young woman's childhood. 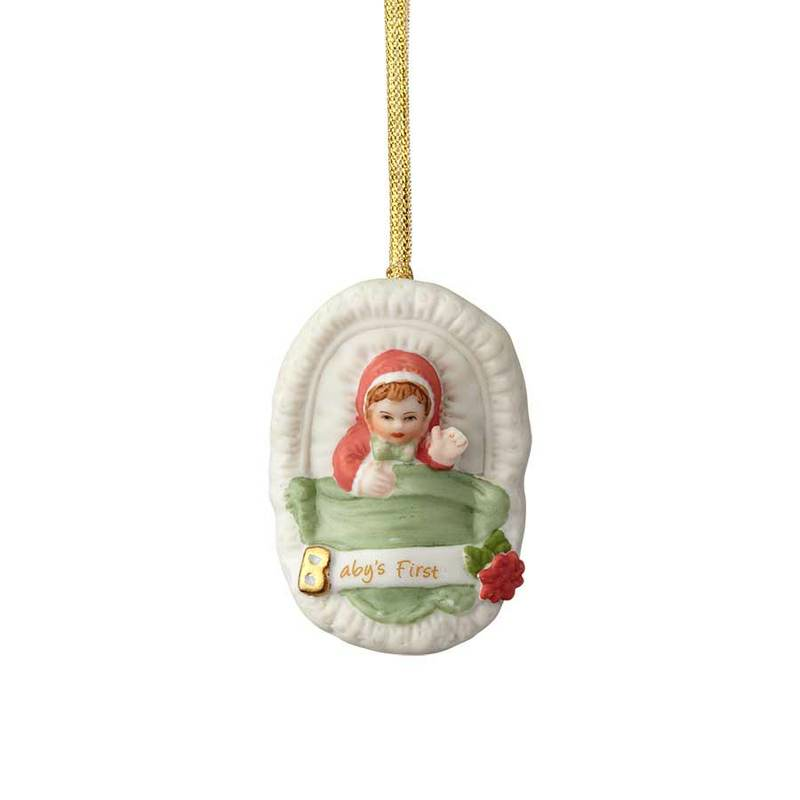 A brunette newborn lies in a bassinet with a green blanket and "Baby's First" banner in this 2.72" ornament. The banner features a raised golden "B" and flower detail.